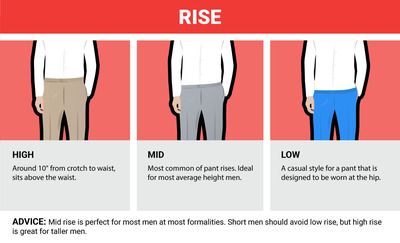 Pants are one of the most difficult items for guys to buy. The reason for that is simple: men don’t actually know the terminology they need to get exactly what they’re looking for. Fortunately, that can be fixed with knowledge. 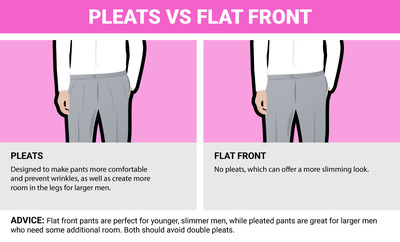 From leg opening to fly style, we’ve covered everything you need to know to buy the perfect pair of pants. 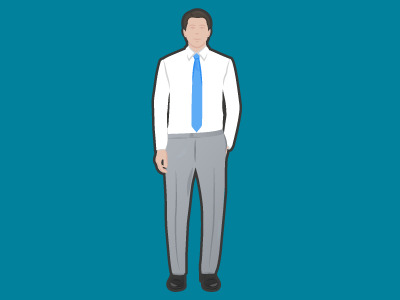 The term 'rise' refers to the distance between the top of the pants' waistband and the crotch. 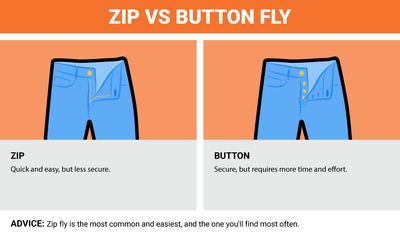 The zip fly has largely overtaken the button fly in popularity, and it offers a quicker and easier way to close your pants. Here are the benefits of each. 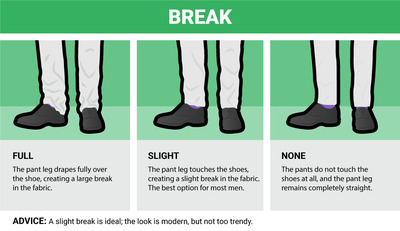 'Break' refers to how the cuff of your pant leg drapes over your shoe. 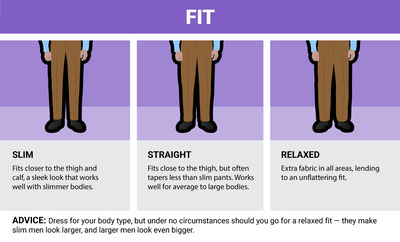 There are three main options for how your pants should break. 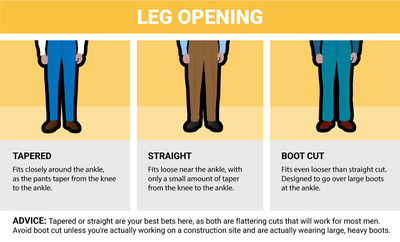 'Leg opening' refers to how tight the pants are around your ankles. BONUS: Suspenders have gone in and out of fashion throughout the 20th century. Today they're quite rare, and can appeal to the man looking for a vintage-inspired ensemble. 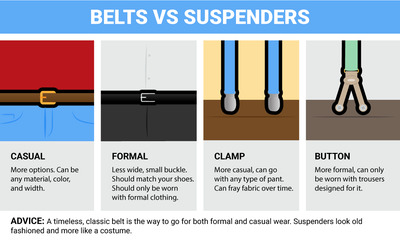 One important thing to remember: belts and suspenders should never be worn together.